Concrete designs are one of the hot new trends for concrete patios, concrete floors, entryways, countertops, pool decks and more. From expensive new homes with elaborate concrete driveways to budgeted one-room remodels showcasing a stunning, stained concrete floor, the attraction is continuing to grow when it comes to using concrete for decorating. Our process for success starts with in-depth preparation. We realize the importance of a solid infrastructure that minimizes the potential for future cracking and settling. We install piers and turndown beams as necessary around the perimeter and all required locations. In addition, rebar is used throughout for additional strength and support. 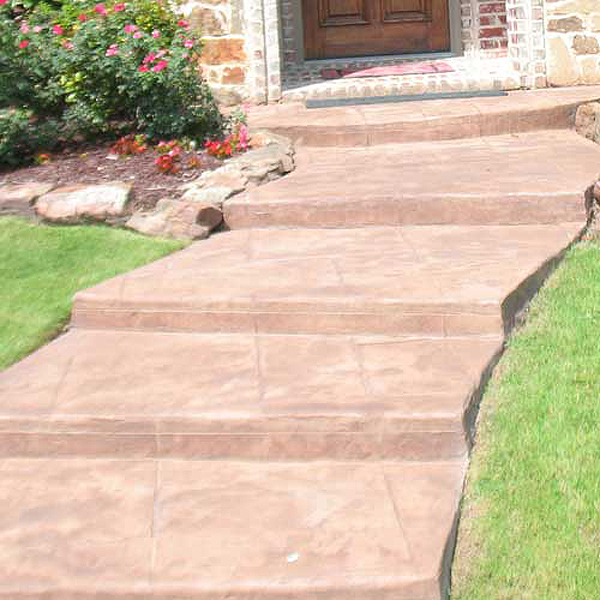 We can provide you a variety of color and pattern options for stained or stamped concrete.